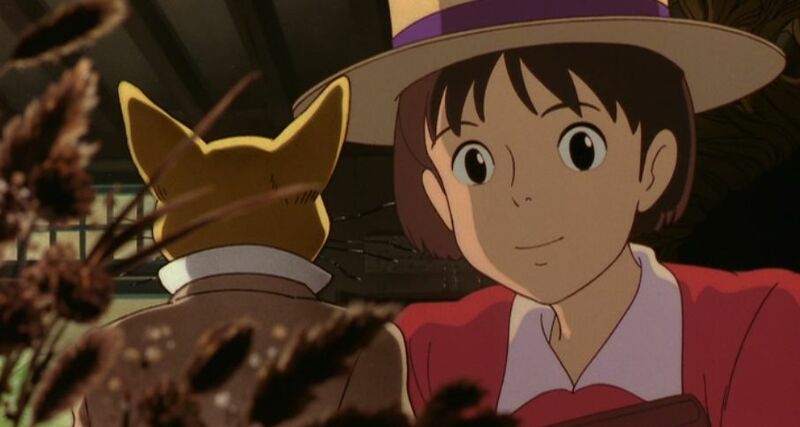 Yoshifumi Kondo was being groomed as a successor to anime genius Hayao Miyazaki at Studio Ghibli when he suffered a fatal aneurysm at the age of 47. His sole feature as a director is the enchanting tale of Shizuku, a 14-year-old schoolgirl whose encounter with a mysterious cat on the Tokyo metro leads to her discovery of true love, and ultimately nurtures her ambitions to be a writer. It’s one of my favourite anime, and if you haven’t seen it, I urge you to track it down. The story manages to be simultaneously realistic and magical. Don’t expect fireworks, but do expect a lovely, delicate teen romance, all blushing cheeks and blurted sentiment, as well as one of the most beautiful evocations of everyday life in the suburbs of Tokyo (where I lived for a year) that I’ve ever seen on film. It makes me simultaneously sad that Kondo won’t be making any more movies, but also grateful that he made this one. It’s a Major Cat Movie. 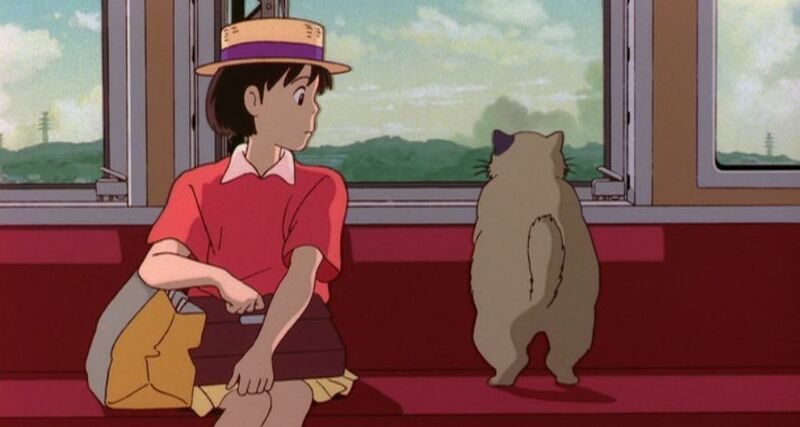 Not only does the cat on the metro (who may or may not be called Moon) lead Shizuku into her adventure, White Rabbit-style, but she also stumbles across a feline statuette called the Baron Humbert Von Jikkingen, which plays a pivotal role in the story. There is also a smashing version of John Denver’s Country Roads that now makes me cry when I listen to it. A literal translation of the Japanese title Mimi o sumaseba would be “if you listen closely”. 耳 (mimi) is Japanese for ear. 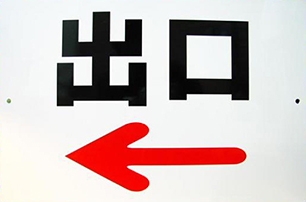 The kanji for it resembles an ear, kind of. We’ve already met 目 (me, pronounced “meh”), the Japanese symbol for eye. Which looks like an eye, kind of. …you’ll know it’s the way out. There’s another mini-Japanese lesson in CAT OF THE DAY 041. If you like Studio Ghibli films, you may also be interested in CAT OF THE DAY 035. And I wrote a short article about women in anime for the Guardian a few years ago. 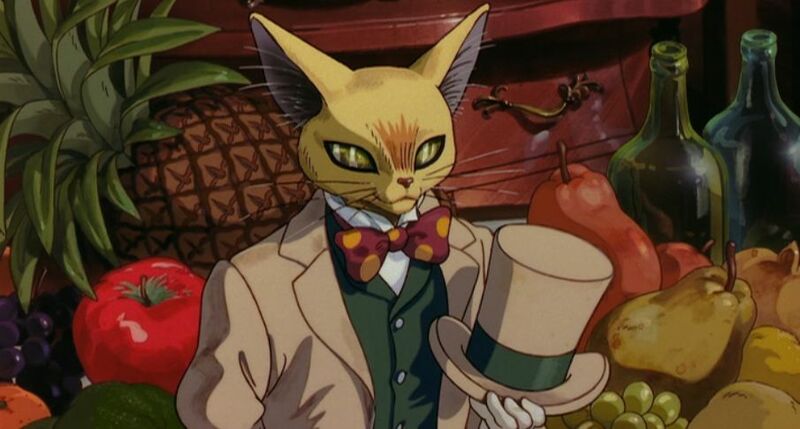 This entry was posted in A Major Cat Movie, Catguffin, Catscallion and tagged Studio Ghibli, Whisper of the Heart, Yoshifumi Kondō. Bookmark the permalink.